As a member of the Organisation for Economic Co-operation and Development (OECD), the Committee of Experts on the Evaluation of Anti-Money Laundering Measures and the Financing of Terrorism (MONEYVAL), observer of the Financial Action Task Force, and signatory to several important international treaties, the state of Israel has been keen to demonstrate its adherence to robust enforcement of anti-corruption and anti-bribery prohibition, as can be demonstrated by the rise in the number of criminal proceedings undertaken by the Israeli authorities involving Israeli public officials or Israeli companies in this regard. Sections 290–297 of the Penal Law 1977 (the Penal Law) set out the bribery offences prosecutable in Israel. Sections 290–291 prohibit the payment of bribes to, or their receipt by, domestic public officials. Section 290 criminalises the acceptance of the bribe by the domestic public official and Section 291 targets individuals or legal persons providing such bribes to promote their business activities or to gain any other advantage. Section 295 criminalises the brokering of bribery. It states that a broker of a bribe, or even a broker who received monetary or monetary-equivalent consideration, to induce a public official (or foreign public official) to give undue preference or to practise discrimination (even if no consideration was passed to the public official) shall be treated as if the broker took a bribe. Section 295 further prohibits an individual or legal person who exerts significant influence over the election of candidates to the roles of Prime Minster, minister, deputy minister, a member of parliament or the head of a municipal authority from accepting money, monetary equivalent, a service, or any other benefit, to directly or indirectly motivate such a candidate. bribes involving public officials serving on a temporary or permanent basis, or appointed for a general or specific issue, and whether the public official fulfils his or her public functions for consideration or on a voluntary basis. Section 34 of the Penal Law provides a general definition of a public official, which includes any individual employed by the state of Israel or any of its municipal authorities, religious councils, state-owned companies and other government-affiliated organisations, arbitrators and directors in governmental companies, and soldiers. Section 290 of the Penal Law further expands this definition to include employees of corporate bodies that provide services to the public. This broadened definition is used with respect to Sections 290–297 and has been interpreted by the Israeli courts in a broader manner still, such that employees of a gas and oil infrastructure company in which the Israeli government had a minority share, a guard employed by a private contractor that provided security services for a governmental office, employees of privately owned banks, or a private citizen committing fraud and breach of trust conjointly with a public employee have all been deemed public officials. The participation in commercial activities by public officials in Israel is subject to several limitations. Rules on conflicts of interest limit a public official's ability to engage in commercial activities where the engagement causes a conflict of interest between the official's official capacities and the engagement. These include the Rules for the Prevention of Conflicts of Interests by Ministers and Deputy Ministers, the Rules for the Prevention of Conflicts of Interests of Elected Officials in the Local Authorities, and the decisions adopted by the Israeli parliament's ethics committee. The Government Service Regulations (the Regulations) prohibit public employees from engaging in 'private work' outside their official positions without obtaining a special permit, or if the engagement may lead to a conflict of interest. With respect to parliament members, Section 13A of the Knesset Members Immunity, Rights and Duties Law 1951 (the Knesset Members Law) stipulates that a member of parliament shall not engage for monetary or other consideration, directly or indirectly, in any additional business or activity. The Knesset Members Law further prohibits a member of parliament from engaging in any additional business or activity, even when not conducted for any consideration where, among other things, the engagement may potentially lead to a conflict of interest between the additional engagement and the member of parliament's official role and duties. The primary statutory framework governing the receipt of gifts by Israeli public officials is the Public Service (Gifts) Law 1979 (the Gifts Law), which stipulates that any 'gift' accepted, whether in Israel or abroad, by an Israeli 'public servant' or his or her spouse or child, shall be the property of the state of Israel. Pursuant to the Gifts Law, a gift is the provision of property, service or other benefit with no element of consideration. gifts provided as an award for the public servant's public achievements. In addition, other acts of legislation include similar limitations with respect to elected public officials, such as members of parliament or ministers. Lastly, the Civil Service Regulations, applicable to all individuals employed by the state of Israel, prohibit state employees from receiving any gift provided to them in their official capacity. All state employees must register all gifts with the relevant ministerial committee, which then determines whether the gift is of 'small value' and can be kept by the employee. The Regulations define a gift of small value as any gift not exceeding the value of 300 Israeli new shekels, provided it is not a cash gift. The financing of political parties and candidates is predominantly provided by the state of Israel. Pursuant to the Party Financing Law 1973, a political party or list may only accept political contributions for the purpose of financing a parliamentary election campaign from an individual with voting rights in Israel. Political contributions provided by a corporation (Israeli or foreign) or by foreign citizens or foreign residents are prohibited. Similar provisions are included in the Local Authorities Law (Funding of Elections) 1993 with respect to local elections. Under Israeli law, private commercial bribery is not criminalised therefore the exchange of gifts, services or other benefits between private entities shall not be considered illegal, provided the exchange does not constitute any other established criminal offence, such as corporate embezzlement, or cause a breach of corporate fiduciary duties. A public official or any intermediary who received a bribe shall face an imprisonment term of up to 10 years or a fine the higher of 1.13 million Israeli new shekels or the equivalent of four times the value of the benefit obtained through the bribery. An individual providing a bribe to a public official shall face a similar fine or imprisonment of up to seven years. Corporate bodies providing a bribe may face fines of the higher of 2.26 million Israeli new shekels or the equivalent of four times the value of the benefit obtained as a result of the bribery. In addition, Section 297 enables the Israeli courts to confiscate the value of the bribe exchanged and the benefits derived from the bribe, and to pay this to the state treasury. The actual definition of how to calculate the value of the benefit obtained as a result of the bribery is not defined in the law and has yet to be clearly defined by case law. Several high-profile corruption and bribery cases have been prosecuted in Israel in recent years. In 2015, former prime minister Ehud Olmert was convicted of charges of bribery for accepting a bribe of 60,000 Israeli new shekels while mayor of Jerusalem and later as the minister of economy and industry, from the shareholder of Hazera Ltd, in exchange for the promotion of the company's real estate project in Jerusalem. As part of this affair, Uri Lupolianski, a high-ranking public official in Jerusalem municipality, was convicted on charges of bribery because of payments made on behalf of Hazera under the guise of donations to a non-governmental organisation established by Lupolianski and to a religious institution managed by his son. Olmert was further convicted on accounts of fraud, breach of trust and tax evasion because of his systematic failure to report political contributions transferred to him in the 'Talansky Affair'. Following his conviction in both affairs, Olmert was sentenced to a prison term of 27 months. In June 2018, a high-ranking official of the Yisrael Beiteinu party was convicted of accepting a bribe of at least 425,000 Israeli new shekels and requesting a bribe of at least 880,000 Israeli new shekels, and was sentenced to a prison term of seven years, a fine and confiscation. These charges resulted from a broader corruption and bribery affair involving numerous high-ranking individuals in the Yisrael Beiteinu party, whose criminal proceedings are still under way. Other ongoing criminal investigations pertain to the current Prime Minister Benjamin Netanyahu. These span the alleged receipt by Netanyahu of benefits and gifts worth 1 million Israeli new shekels from businessmen over a long period, the alleged solicitation of a bribe in the form of favourable coverage by a major media outlet in Israel in exchange for the promotion of a law favourable to the media outlet, alleged corruption-related charges involving both Netanyahu's cousin and one of Netanyahu's close acquaintances, and alleged assistance in the promotion of regulatory approvals for Bezeq Ltd (a public Israeli telecommunication company) amounting to hundreds of millions of shekels in exchange for positive media coverage for Netanyahu and his family by the Walla news website, a subsidiary of Bezeq. In 2008, the Penal Law was amended to include Section 291A, which proscribes the provision of bribery to a foreign public official. This Section is conjointly read with Sections 290–297 such that the provision of a bribe to a foreign public official by an individual or legal person for the purpose of obtaining, guaranteeing or promoting any business activity or other advantage pertaining to a business activity shall be treated as if the bribery had been provided to a domestic public official. An indictment under Section 291A may only be filed with the written approval of the Israeli Attorney General, as is the case with all extraterritorial indictments under Israeli law. an employee of an 'international public organisation' or any individual who holds public office or fulfils a public function on behalf of the organisation. A foreign state also encompasses any governing unit in that foreign state (e.g., on a local, district or national level), as well as any political entity that is not considered a state, including the Palestinian National Authority. An international public organisation is an organisation established by two or more countries, or by organisations established by two or more countries. It is legally permissible to provide gifts or gratuities to foreign public officials, provided these do not amount to bribery under Section 291A. Obviously in any such case there may be local laws applicable to the foreign official that prohibit receipt of such gifts, and violation of these laws may be deemed by Israeli authorities to be evidence, or part of the evidence, of a gift violating Section 291A. Facilitation payments would most likely be deemed bribery under Section 291A, as Section 293(7) of the Penal Law clearly deems a payment to a public official to be a bribe – even for a non-discretionary act. Because Section 291A is to be read conjointly with Sections 290–297, which criminalise the provision of bribery of public officials by intermediaries, the payment to foreign public officials through third parties is likewise prohibited. Both individuals and legal persons may be held criminally liable for bribery of a domestic or foreign public official in accordance with the general legal accountability of corporate bodies under Israeli law. A body corporate may be held criminally liable with respect to strict liability offences for actions undertaken by any of its officers, employees or agents, where the actions were carried out as part of the performance of a corporate function. With respect to offences that require criminal intent or negligence, it must be further demonstrated that an individual's own criminal intention and actions may be identified as the criminal intention and acts of the body corporate itself, especially in view of the position, authority or responsibilities of that individual in the body corporate's management. In its response to the Phase 3 Report on Implementing the OECD Anti-Bribery Convention in Israel (the Phase 3 Report), the state of Israel clarified that when concluding whether the corporate body should be held criminally liable with respect to criminal intent or negligence offences, the Israeli courts would apply, on an ad hoc basis, a flexible test that focuses on the functional role the offending individual carried out in the corporate body. With respect to the provision of bribery to a foreign public official, Israeli law currently includes criminal enforcement only. With respect to publicly traded companies, however, the act itself can in certain situations amount to a violation of certain civil securities regulations, which would relate to the bribes only indirectly, with no direct civil liability for bribery. Various publicly traded Israeli companies that have been penalised or been under investigation for foreign bribery have had derivative suits or class actions filed against them because of these acts (e.g., Teva, Shikun u' Binui). Investigations pertaining to the Section 291A prohibition on provision of bribery to foreign public officials are conducted by the national unit for fraud investigations (a police department operating under the special Lahav 433 task force investigating all corruption- and bribery-related cases in Israel) and would routinely involve the participation of prosecutors from the Taxation and Economics Department of the Tel Aviv District Attorney's Office. If money laundering aspects are also investigated, the Israel Money Laundering and Terror Financing Prohibition Authority may be involved as well to a certain extent. For publicly traded companies, the Israel Securities Authority would most probably also be involved. A defendant in proceedings involving charges brought under the Section 290A prohibition on the provision of bribery to foreign public officials may use those general defences available to any defendant in criminal proceedings under the Penal Law, such as self-defence, duress or necessity (Sections 34J–34L), and Israeli law does not prescribe any unique defences with respect to foreign bribery. In the Phase 3 Report, various anonymous members of the Israeli judiciary stated that compliance by a corporation with a robust anti-corruption compliance programme may be deemed sufficient to eliminate corporate criminal liability for acts committed by its employees. Under Israeli law, no established legal mechanism exists that allows companies to self-report or cooperate with the enforcement authorities in return for reduced penalties or other forms of leniency. Nevertheless, the prosecution in Israel may consider such self-reporting or cooperation at its broader prosecutorial discretion when deciding whether to file a criminal charge and with respect to sentencing. At any stage during the criminal proceeding (i.e., from the point at which the indictment is filed until sentencing), the prosecution and defendant may enter into a plea agreement, subject to the conditions set in the relevant case law and the specific guidelines issued by the State Attorney in this regard (these guidelines apply to all plea bargains and are not specific to the offence of bribery). On the basis of a plea agreement, certain charges may be omitted from the indictment and the defendant shall serve a reduced sentence. Such a plea agreement requires the approval of the court to enter into force, and once so approved annuls the need to conduct a full criminal trial. In addition, as from 2013, the prosecution and defendant may enter into a deferred prosecution agreement, but only with respect to offences that carry an imprisonment term of less than three years, and subject to other specific conditions. A parallel route exists with respect to charges (non-bribery) brought under the Israeli Securities Law 1968 (as opposed to the Penal Law) in the form of a conditional agreement, which is essentially a deferred prosecution agreement available only with respect to such charges. Foreign companies may be prosecuted in Israel for foreign bribery provided that at least some part of the foreign bribery took place within the territory of the state of Israel. According to Sections 9 and 12 of the Penal Law, the Israeli Penal Law shall be applicable with respect to any domestic offence, or to any external offence where the indictment is brought by – or with the approval of – the Israeli Attorney General. A 'domestic offence' is defined as an offence conducted wholly or partially within the territory of the state of Israel, as well as any act in preparation, attempt, conspiracy or solicitation conducted outside the state of Israel so long as the offence itself was supposed to be carried out within it. An 'external offence' is defined as any offence that does not amount to a domestic offence. Thus, if in the course of the provision of foreign bribery a foreign company has conducted at least part of the offence within the state of Israel (including, for example, any act of preparation, attempt or conspiracy), the foreign company may be prosecuted in Israel. In addition, charges for the provision of bribery to a foreign official may be made against the foreign company, even if the offence occurred only in part within the state of Israel, if the charges are brought by the Israeli Attorney General or with the Attorney General's approval. An individual or legal person providing bribery to foreign public officials shall face similar penalties as those applicable to domestic bribery. While debarment from government contracting is not prescribed by the Penal Law, the Israeli Ministry of Defence requires that all defence exporters sign a declaration whereby they 'declare they did not and will not be involved in the provision of bribery to a foreign public official pursuant to Article 291A of the Israel Penal Law'. This declaration constitutes an integral part of the export licence, and a breach thereof can lead to the suspension or annulment of the licence or even removal of the offender from the approved exporters register and the denial of the right to receive export licences. Certain requirements to maintain accurate corporate books and records are found in the Income Tax Ordinance 1961 (the Tax Ordinance), which stipulates that individuals and legal persons must maintain proper books and records for tax purposes. In the specific corporate context, under the Companies Law 1999 any private Israeli company (including foreign companies registered in Israel) should maintain accurate and updated accounts and financial statements. Under the Securities Law 1968, any public company (and, under certain conditions, some private companies) must maintain similar accounting and record-keeping procedures. Under Section 262 of the Penal Law, where a person has knowledge that a felony is about to be committed, that person is required to take reasonable acts to stops it. In addition, failure by a public company to report any violations of anti-bribery law may amount to failure to perform due disclosure, a criminal offence under the Securities Law 1968. In 2009 the Tax Ordinance was amended to include Section 32(16), which prescribes that cash or monetary equivalent payments shall not be tax deductible where there is reasonable ground to assume their provision constitutes an offence under any applicable law. This amendment codified the already prevailing interpretation of the Israel Tax Authority and the Israeli courts on non-deductibility of illegal payments. The main source of legislation regarding prohibition on money laundering is the Prohibition on Money Laundering Law 2000 (the AML Law). Any of the bribery offences enumerated under Sections 290–297 constitutes a predicate offence under Sections 2–3 of the AML Law. The AML Law prescribes a penalty of imprisonment of up to 10 years or a fine of up to 4.52 million Israeli new shekels with respect to money laundering charges, and up to seven years' imprisonment or a fine of up to 2.26 million Israeli new shekels with respect to the performance of a transaction involving prohibited property. Under the AML Law, currently only banks must disclose any suspicious financial transactions potentially associated with the payment of bribes. In December 2016, the Tel Aviv Magistrate's Court rendered the first conviction on account of bribery of a foreign public official, on the basis of a plea agreement entered into with NIP Global (NIP), an Israeli company developing electronic systems. NIP provided bribery payments to public officials in Lesotho of approximately US$500,000 to promote its economic interests in the country. NIP was required to pay a fine of 2.25 million Israeli new shekels, was subject to a confiscation of 2.25 million Israeli new shekels, and was further made to draft and execute a compliance programme. The Court emphasised that the precedential nature of the indictment led to this lenient outcome. In January 2018, Israeli Teva Pharmaceuticals Industries Ltd (Teva) entered into a conditional agreement with the prosecutorial authorities in Israel for violating securities laws, pursuant to which Teva admitted its involvement in the bribery of Ukrainian and Russian public officials, and in corrupt payments in Mexico, by its wholly owned foreign subsidiaries (for which it also paid a penalty of US$519 million to US authorities for violating the Foreign Corrupt Practices Act). The authorities' recognition of Teva's cooperation throughout the investigation was one of the considerations leading to the decision to enter into a conditional agreement with the company, rather than pursuing full criminal proceedings. Teva was required to pay a fine in the total aggregate amount of 75 million Israeli new shekels. According to press reports, there are several ongoing investigations into foreign-bribery offences: (1) Benny Steinmetz, the beneficial owner of BSGR, and several officers of the company are under a multi-jurisdictional investigation related to their activities in Congo; and (2) Shafir Construction and its principals are under investigation regarding bribes in Romania involving top real estate transactions. Yet another ongoing criminal investigation pertaining to foreign-bribery offences is under way with respect to high-ranking officers in Shiku u'Biniu Ltd, one of the major construction and development companies in Israel. The company's officers have been arrested for allegedly providing bribery to public officials in Africa and Central America to win construction tenders worth hundreds of millions of dollars. the United Nations Convention against Transnational Organized Crime. A specific limitation that exists under the Crime Register and Rehabilitation of Offenders Law 1981 (the Crime Register Law) may limit the ability of foreign companies or individuals to perform due diligence on prospective Israeli business partners. According to the Crime Register Law, regular private entities or an individual cannot access the criminal record of another individual. The criminal record may only be provided directly by the Israeli police to the specific public bodies and authorities listed in the Crime Register Law, or to the individual with respect to which the criminal record pertains. It is also illegal to ask the individual to provide his or her criminal record. Another limitation arises in the context of corporate compliance programmes. Israeli employment law broadly protects the status of trade unions, such that, in companies where employees are unionised, engagement of the relevant trade union may also be required to ensure the proper implementation of an internal compliance programme. In addition, Israel enforces a very strict interpretation of its obstruction-of-justice rules, which may hinder the ability of a company to conduct a thorough internal investigation into a suspected bribery matter in Israel without running into difficulty with these rules. While the drafting and implementation of compliance programmes is not considered a defence under Israeli law, it may nevertheless serve as a mitigating factor when the prosecutorial authorities decide on the terms of plea or conditional agreements, as the NIP and Teva cases above demonstrate. In addition, and as was stated above, various anonymous members of the Israeli judiciary have stated that a robust anti-corruption compliance programme may in certain circumstances eliminate corporate criminal liability. The only existing government regulation addressing the constitution of an adequate anti-corruption compliance programme may be found in the Defense Export Controls Agency guidelines, which in turn refer to the OECD Good Practice Guidance on Internal Controls, Ethics, and Compliance, issued on 18 February 2010. The ongoing investigation into Shikun u'Binui may be a turning point with respect to corporate liability in Israel under Section 291A. This investigation has involved a review of the full business model of one of Israel's older and more respected companies, and of respected members of Israel's business community. Until now this offence was largely viewed as one that would mostly concern companies acting in grey areas or 'under the radar'. Gradually, however, the understanding has been developing that enforcement of the prohibition of bribery is an issue that every company involved in international transactions has to take into account. 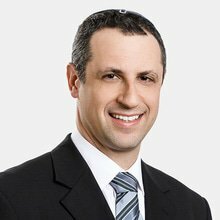 1 Chaim Gelfand is a partner and Daphna Otremski is an associate at Shibolet & Co.